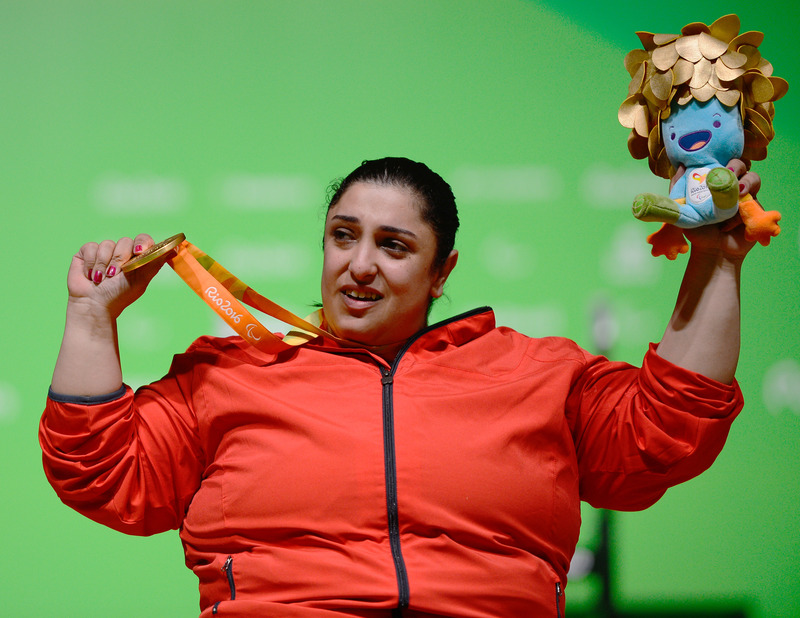 Egyptian Paralympic champion Randa Mahmoud beat Nigerian and Mexican contestants for the gold medal in the women’s over-86 kilograms competition on the final day of the “World Para Powerlifting World Cup” held in Dubai. Mahmoud previously won the silver medal in 2008 in Beijing, and closed the 2016 Paralympic Games in Rio de Janeiro with a victory, sealing Egypt’s second medal in Rio Paralympics. Mahmoud saw her first defeat in 2012 against Loveline Obiji, Nigeria’s London 2012 gold medalist who lifted 145kg, though Mahmoud still won a silver medal. The 31-year-old world champion finally defeated Obiji in 2014 by a slender 1kg margin, lifting a total of 139kg. Furthermore, she topped the podium in three of the four World Championships she competed in, receiving the gold medal recently at Mexico City in 2017. A power-lifting competition in Dubai recently witnessed another Egyptian triumph with Amany Ali, who won the women’s under-86kg division.